As Anna always says, every show and every guest is SPECIAL, so let’s just call this one… “different”;) This time we tried in the studio something entirely new: Instead of one special guest, we had SIX! Back in September, we went LIVE with Klaudia Adamiec, and we talked about the social life of entrepreneurs (Ep 67 LIVE SHOW SPECIAL: Kiss Your Social Life Goodbye - You're An Entrepreneur Now! - With Klaudia Adamiec And YvG5O). 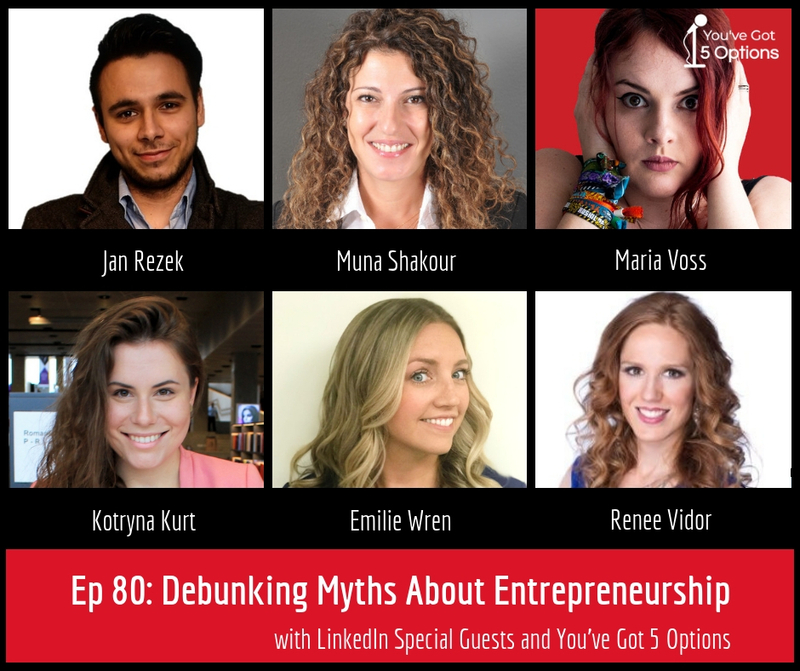 After the interview was aired, we’ve dropped on LinkedIn couple “entrepreneurial myths” that we were debunking with Klaudia and… well, let’s just say we got more engagement than we ever expected! We couldn’t let so much of a good content go to waste, so we’ve decided to make an additional episode where we could reflect on all the comments we got from LinkedIn. Jan has been starting up businesses since he was 16 years old. He has founded or partially owned four different companies and consulted/coached dozens of entrepreneurs on how to make their startups successful. Today he has graced us with his presence on the Radio and gave us his insight on what the life of an entrepreneur looks like. Do entrepreneurs really work averagely 80+ hours per week? Is your social life officially over once you start your own business? Is dating or having a relationship while launching a start-up a dream that rarely comes true? Do people change the way they talk to you once you’ve become an entrepreneur? Is being an entrepreneur means you are a lonely island?